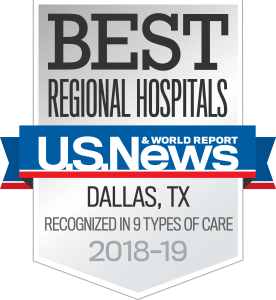 The specialists at UT Southwestern’s Allergy and Immunology Clinic provide expert care and effective treatments for allergic disorders and asthma and immunodeficiency disorders (other than those caused by HIV), and lung disorders. Allergy and immunology specialists offer testing for environmental and medication allergies and pulmonary function, as well as lab evaluations for immunodeficiency. Our comprehensive treatment approach for allergic disorders and asthma includes the latest biologic therapies for severe disease. Our treatment for immunodeficiency disorders includes immunoglobulin replacement therapy and other agents focused on prophylaxis against infection, as well as treatment of inflammatory complications. For a seamless patient experience, the building has a patient service center that can draw blood for all orders that may be ordered at the appointment. If it’s necessary to cancel an appointment, please call the clinic 48 hours in advance so we can accommodate others.